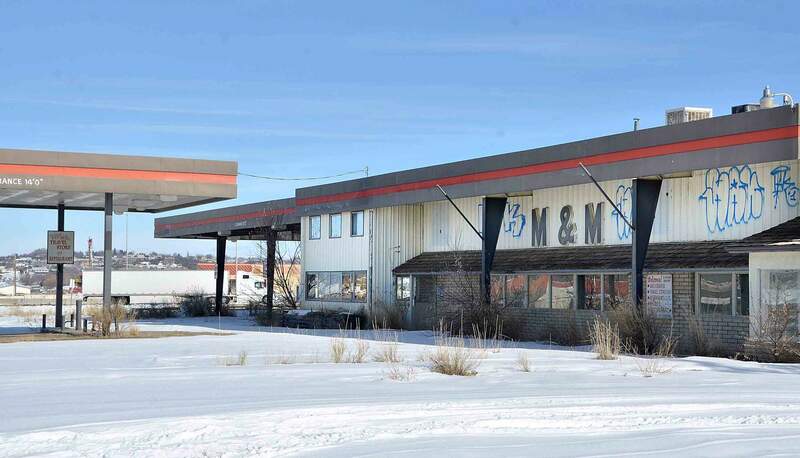 The Colorado Division of Oil and Public Safety has filed a civil action in district court demanding cleanup at the former M&M Truck Stop at U.S. 160 and County Road G.
The Colorado Division of Oil and Public Safety has a filed civil action in district court demanding cleanup at the former M&M Truck Stop. In a four-page complaint filed in April with the 22nd Judicial District, the Colorado Attorney General’s Office demanded that four named defendants complete the environmental cleanup connected to a 1994 petroleum spill at the former truck stop. Acting on behalf of the Colorado Division of Oil and Public, state prosecutors also requested a $3,000 fine in addition to an undisclosed noncompliance penalty. At a status conference hearing last week in front of District Court Judge Todd Plewe, none of the defendants – Meteor Marketing, Inc.; Graves Oil & Butane Co.; Tri-Valley Gas Co. and Arshad Farooq – were present. Appearing via telephone at last week’s hearing, a state prosecutor requested a trial date, advising the court that settlement discussions with the defendants were ongoing. A trial, expected to last three days, was set for Aug. 24. Hired as a consultant by Farooq, Houston-based Ruff Rhodes LLC is currently in discussions with OPS officials to clean the polluted site. “We’re working to comply with the state,” Ruff Rhodes owner Tommy Ruff told The Journal via telephone. In addition to cleaning the property within the next 60 days, Ruff said plans also include demolishing the current M&M structure. “We want to develop the property,” Ruff added. According to the complaint, an undisclosed amount of petroleum spilled from underground storage tanks at the 4-acre site on Nov. 30, 1994. The tanks were subsequently removed, but contamination from the spill remained. In 1997, OPS officials approved a cleanup plan, later modified in 2004, requiring the defendants to excavate the contaminated soil. Despite several deadline extensions, the site was never remediated. In 2012, OPS issued an enforcement notice, demanding a $3,000 fine and cleanup of the site. The M&M Truck Stop, located at U.S. 160 and County Road G, closed in 2001. Since, the large complex has deteriorated, becoming a graffiti-tagged, abandoned eyesore.